Have you ever wondered why it costs so much to get anything done in Thailand? Do you struggle to understand the Thai language and the endless amount of paperwork? We are here to help you manage all the paperwork that comes with living in Thailand without the worry, the expensive bills that so often come with hidden extras. Thai Business Help can help you save money, we offer the same professional services, it just cost a lot less. We know we have the cheapest annual audits as many customers including lawyers choose to use our great value service. Once you supply all the paperwork, we deliver your signed annual audit within 2 weeks or 14 working days. Trading company audits start from 15,000 Thai Baht. Since 2010 we have arranged 100’s of visas for our customers. We are so good at arranging visas, other companies including well known law firms use our services. 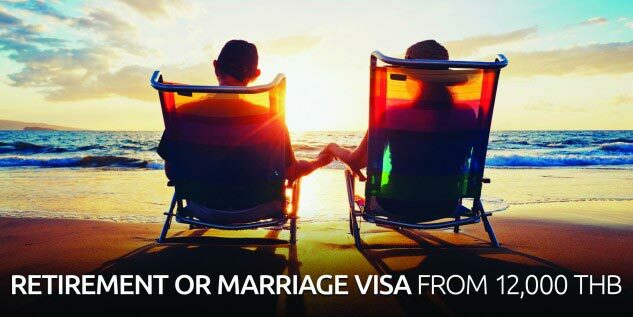 Whatever type of visa you need, let us know and we’ll give you the best advice and ensure you get the visa we recommend. We are very experienced in setting up a new company quickly and efficiently. We’ll have your company setup ready to trade including company stamps within 3 working days or less. Once you have your company setup, we can then help you arrange opening a company bank account, and other key services. We are experts in Thai Work Permit Applications and Thai Work Permit Renewals. The process is very quick if you meet the criteria and have all paperwork in order. If you don’t have these, we can help you meet the criteria and provide all the paperwork for a successful application. All prices are nett and exclude government fees. You may be required to pay extra government tax at a later date. Prices are based on having the correct documents otherwise additional costs will be applied. We know price is now the number one issue for a lot of people with the current global economy, falling exchange rates and inflation that causes the price of goods and services to rise. You may already have a service provider that you are happy with but are their prices too high? We offer the cheapest prices for thai visas, work permits, company setup and other services so you continue to have oney in your pocket. You're wondering how can we do this? Well, firstly we are not as greedy in making a profit, and a lot of our operation costs are covered by our parent company, OPEN Advertising limited. This enables us to offer you big savings on services in pattaya. Have a look at our prices, feel free to contact us, ask questions and we'll provide the answers, hassle-free with no obligations. We look forward to hearing from you so we can save you money.